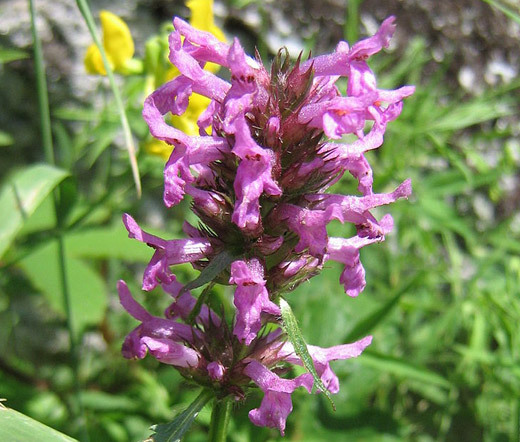 Betony Betonica Officinalis is a herbaceous perennial native to Europe and Asia. 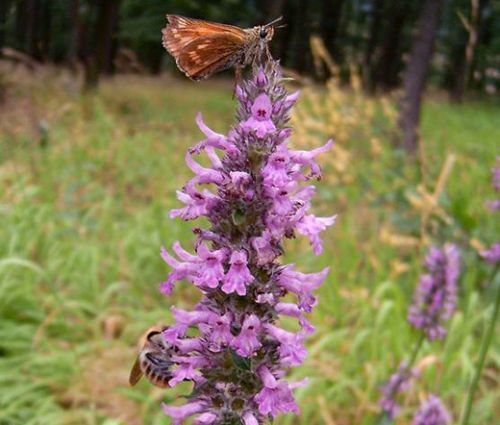 Also called Bishopswort, Purple Betony, Common Hedgenettle, Woundwort, Wood Betony, and previously known as Stachys Officinalis, this pretty little wildflower is a slow growing, long-lived perennial plant. Betony seeds can be started directly outdoors in late summer, fall or early spring, and Stachys Officinalis grows forming a very attractive mat of clumping foliage with basal rosettes of ovate, glossy, dark green leaves and producing dense spikes of tiny, rose-lavender flowers on a top of tall leafless flowering stems that rise well above the foliage mat. The various pollinators including bees and butterflies are attracted to blooming Purple Betony. Betony is a popular groundcover or edging plant, and it is often planted in cottage gardens and informal naturalized areas. 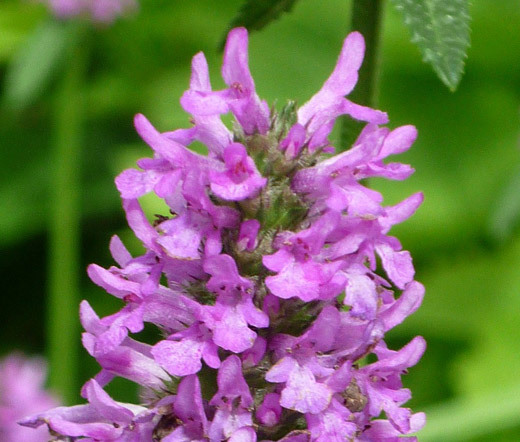 As a herb Wood Betony was at one time commonly used as a medicinal plant in the treatment of a wide range of disorders including an external application to wounds and as a stimulator of digestive system. Betonica Officinalis seeds can be started indoors in pots from October to February, and when the seedling reaches 3 inches, it can be transplanted outdoors in spring. Wood Betony grows best in average, moist well drained soil and full sun or partial shade tolerating poor soil conditions including clay.